Our Quilted Mattress Protectors are made from cotton and polyester. 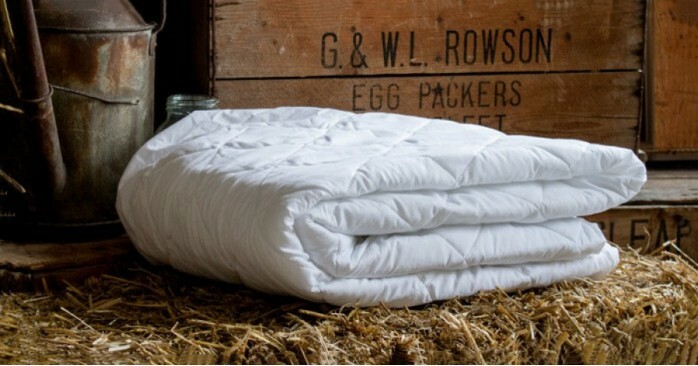 This quality Quilted Mattress Protector provides a comfortable and relaxing nights sleep. The protectors are made to be durable, long lasting and to fit snug onto your mattress. They are designed to offer an additional layer to the top of your mattress to help prevent stains, dust and marks on the surface of your mattress thus ensuring the longevity. The side walls are fitted and elasticated, this means it is simple to put on the mattress and does not move once fitted. We would highly recommend this product as not only does it protect your mattress it also encourages a comfortable nights sleep. This product is suitable for use all year round as the quilted design helps to trap warmth to maintain a cosy temperature throughout the winter months but is also breathable making it ideal in the summer also. All of our bedding is made in England and so you can be assured of the quality.